The latest incarnation of the Ena coffee machine from Jura has just arrived in the UK and doesn't it look stunning! The Jura Ena 8 is available from Official UK stock and includes Free Jura Glass Milk Container, the correct 25-month Domestic UK warranty plus, FREE UK mainland delivery in 2 business days. 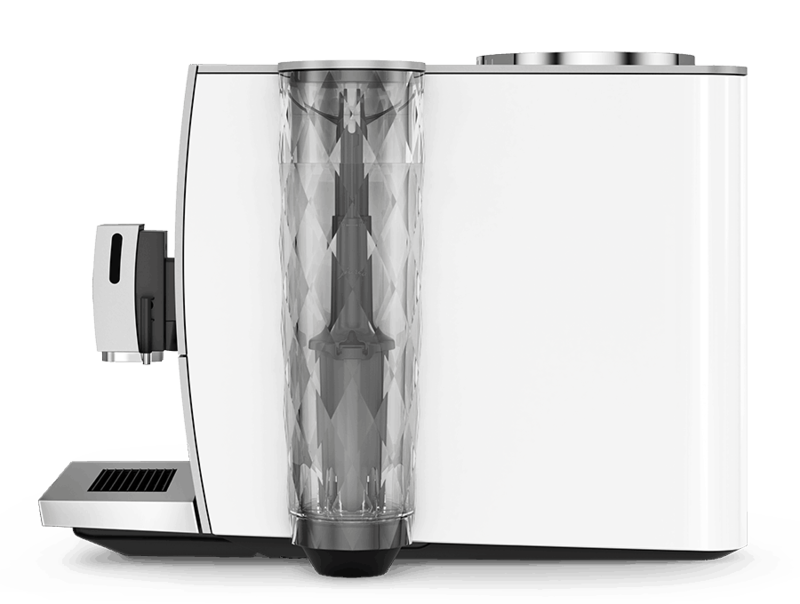 The superlative new one-cup machine: small, simple, stunning – a must for all coffee lovers and connoisseurs. The ENA 8 impresses with speciality coffees that are freshly ground, not capsuled. Available in 3 colour finishes of Metropolitan Black, Nordic White and Sunset Red and a special Signature edition with 3mm solid aluminium housing model "massive aluminium" See alternate version. Traditional craftsmanship combined with state-of-the-art production technology creates workpieces of the highest precision. 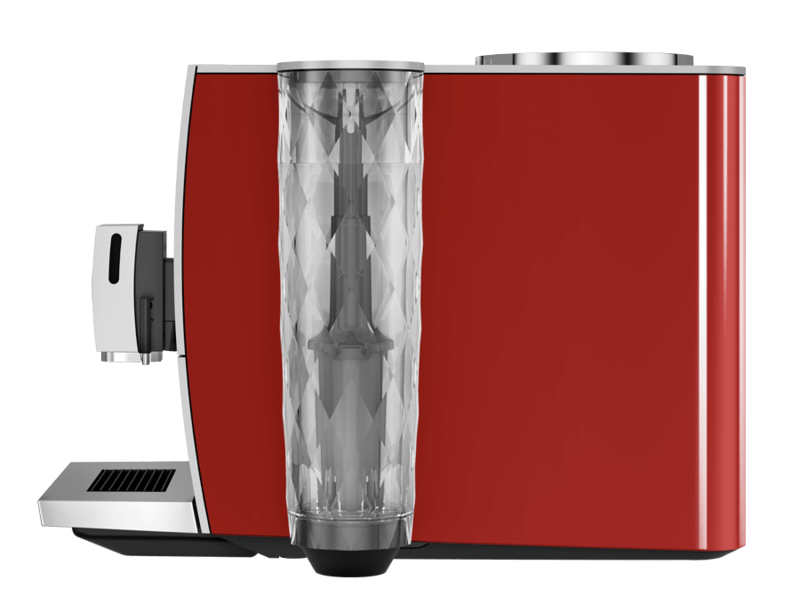 The result is the world’s first automatic speciality coffee machine with a solid 3-millimetre-thick aluminium housing.